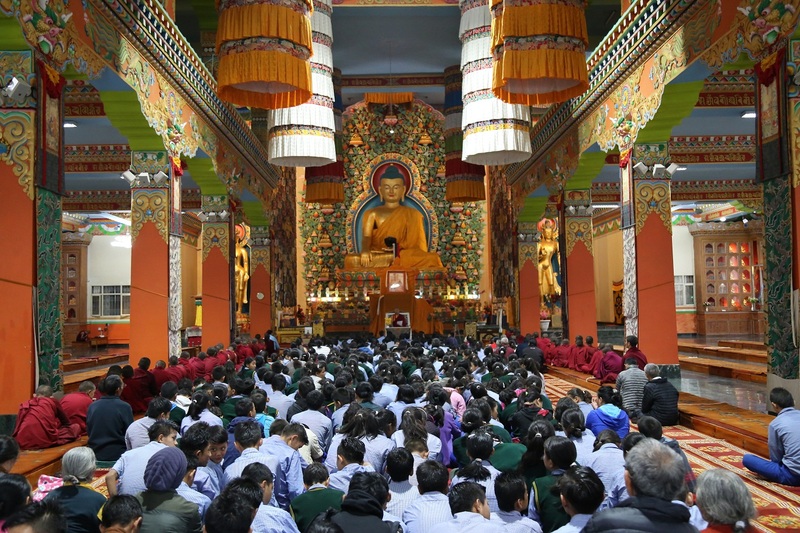 Khenrinpoche Samdrup, the abbot of DKCLI, gave the second talk as a part of the monthly dharma program on the Introduction to Buddhism to around 500 devout attendees, among whom were senior students and teachers of Kanishka Primary School, students from class six and above from TCV, Chauntra, and lay public from Chauntra and Bir. He talked about Buddhism, the Buddhist view and action, and refuge. 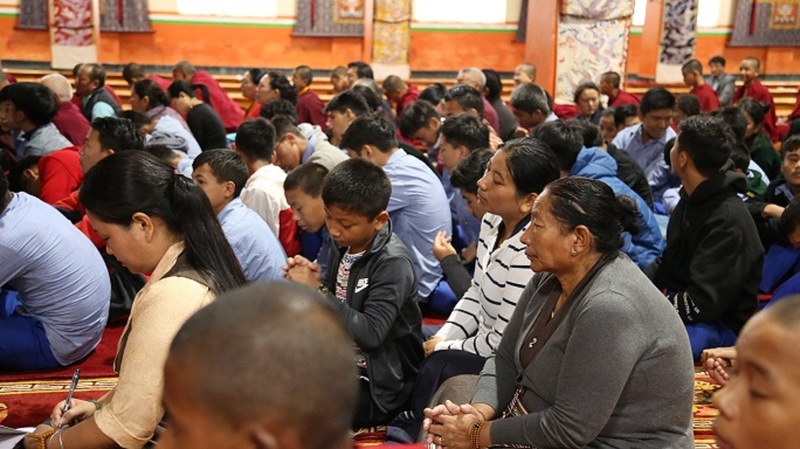 The teaching took place on the 23rd of September, 2018, at Dzongsar Khyentse Chokyi Lodro Instiute assembly hall, from 9:30am to 11:00 am. 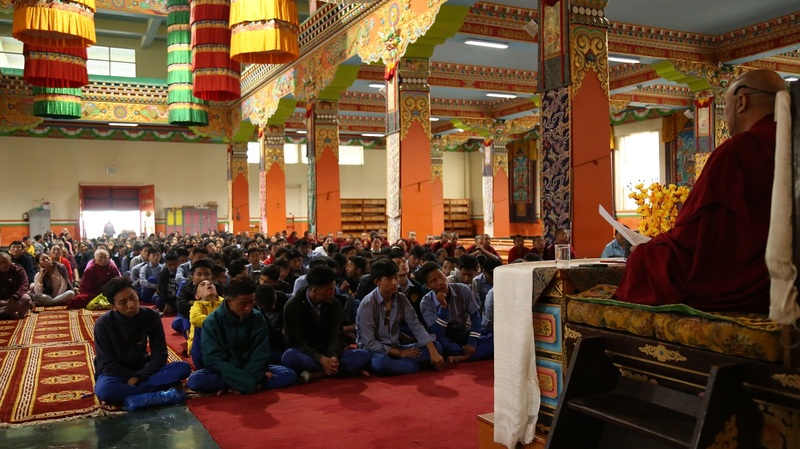 Prior to the actual teaching, Khenrinpoche explained the purpose of establishing DKCLI’s monthly dharma program: (1) mainly to make the general public aware that practising and doing research to acquire a good understanding of the Dharma is not exclusive to monks and nuns; (2) also, to educate the general public against the customary thinking that, by doing prostrations, circumambulations and receiving empowerments, one doesn’t have to build the habit of study or research to gain the true meaning of Dharma. Practicing the Dharma is like building a house. If one doesn’t know how to build it, there is no way to accomplish such task. 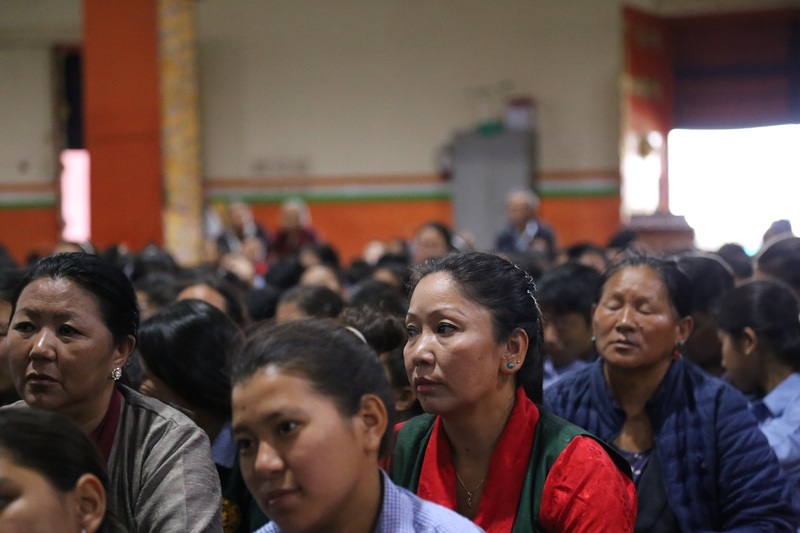 Similarly, when one says that she/he wants to attain enlightenment by becoming Buddhist and practicing the Dharma, without understanding how to practise it, the effort will not bear the coveted fruit. 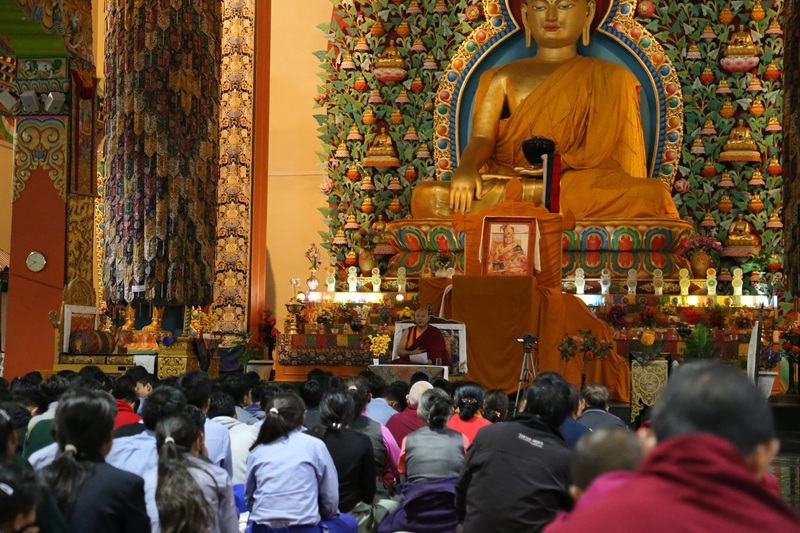 Even though it is hard to explain the deep and vast meaning of Buddhism in its entirety during a single session of the monthly Dharma program, to be able to understand just a little about Buddhism could bring great benefit. That is why it was decided to start this Dharma program on the Introduction to Buddhism. In the actual introduction to Buddhism, Khenprinpoche explained that Buddhism can be grouped into two vehicles, Shravakayana and Mahayana, based on the view and the action. The one that emphasizes the realization of a person’s selflessness and the practice of harmless conduct is Shravakayana, whereas the one that emphasizes the realization of the selflessness of both the person and the phenomena, as well as actions that benefit others, is Mahayana. These views and actions are not only for Dharma study, but they can also have enormous relevance and benefits in everyday secular life. Another topic Khenrinpoche talked about was refuge. He explained the importance of refuge and its two categories: worldly and transcendent refuges. 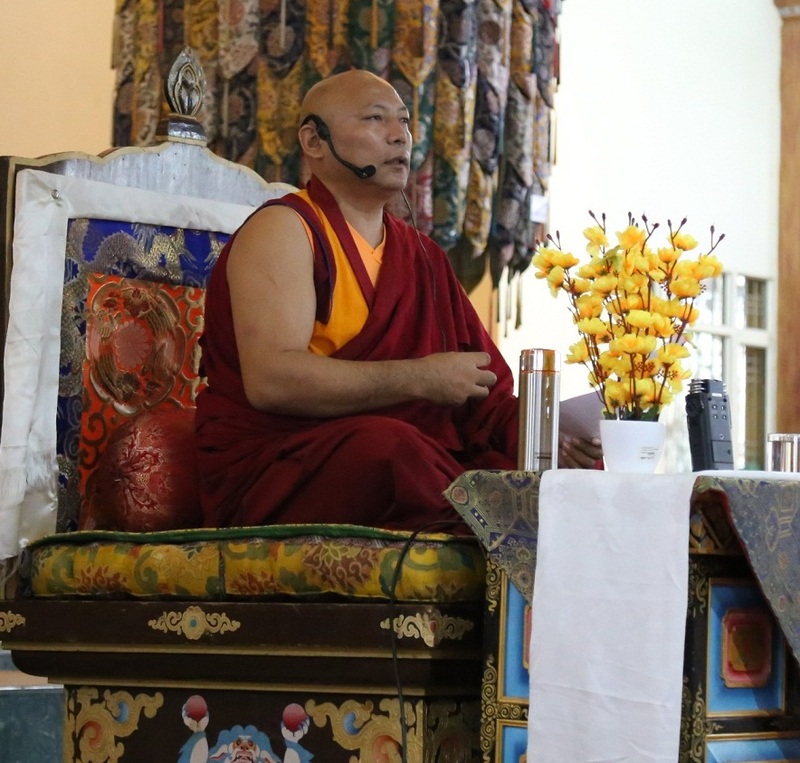 Considering that all attendees at the teaching had a strong inclination towards Mahayana, Khenrinpoche elucidated the nature of Mahayana refuge and the three causes for taking refuge: fear, devotion and compassion. He also gave further details about the Three Jewels – which are the object of refuge –, how to go for refuge and keep precepts, and the benefits of keeping precepts. All these explanations were made with colloquial expressions and simple and numerous examples, making the teaching much easier for the gathering.